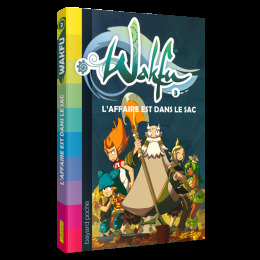 The heroes from the series WAKFU have new adventures beyond the confines of the screen. Yugo, Percedal, Eva, and Amalia: There's nothing like a captivating book with some good company to relax! 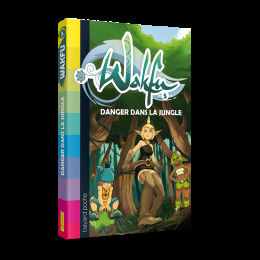 Just like all great heroes, the characters in the WAKFU books face up to the most dreadful dangers. Taken from the animated series, the MMO, or elsewhere, they have all-new adventures in the pages of our graphic novels, manga, and novels. The strength of the Krosmoz and transmedia is that each story is unique, yet they are all interlinked to offer you a complete immersive narrative experience full of humor and emotion. 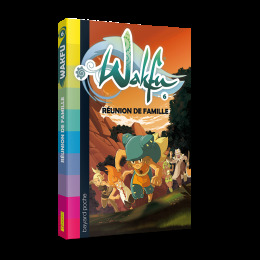 Story writers and illustrators, there are many authors of the WAKFU books, starting with Anthony Roux, a.k.a. ToT (WAKFU Manga), co-founder of Ankama and creator of the universe known as the Krosmoz. Whether they're created by people from Ankama or external artists, all the stories are the fruit of an encounter. In the manga, novels, and graphic novels, you'll come across Azra, Saïd Sassine, Christophe Lambert, Faouz B., Vincent Lamassonne, Jebedaï, Adrian, Dae Jin Kim, Éric Hérenguel, Wuye Changjie, Tom Gobart, Laurent Bramardi, Mig, Saturax, Maxe L'Hermenier, and others. 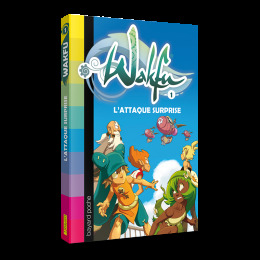 In this first volume of the WAKFU novels, you'll find the same atmosphere as the show, and a little more. A free gift card comes with your copy of L'attaque surprise. It lets you unlock a decoration in the image of Az in the online game WAKFU. 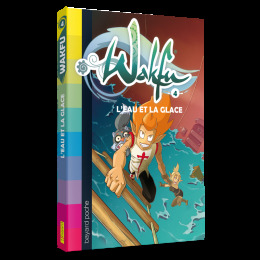 The second volume of the WAKFU novels has some wild surprises in store for you. A free gift card comes with your copy of Le repaire des roublards. It lets you unlock a decoration in the image of a Sadida Doll in the online game WAKFU. The five friends will come up with a very ambitious plan to get it back. But Mister and Missiz Smisse, who've planned the auction as a trap for our heroes, expected as much! The band of friends is put to the test. They put together a cunning plan, but Shwarz has an invisibility potion, and our heroes' quest will turn out to be very complicated… And suddenly, all of Floating Island is under threat! Another airship had set down on the island before our adventurers get there. On board is the terrible Arte Smisse, who dared steal Evangelyne's bow! Will the Cra archer finally get back her most treasured item? Arte won't make it easy for her. The map is in the hands of Chato Smisse, the great Rogue chief. Our heroes won't have an easy time fighting him. Especially since the entire Smisse family has reunited to finish off the brotherhood.